Celebrate the gorgeous colors of water with this collection. 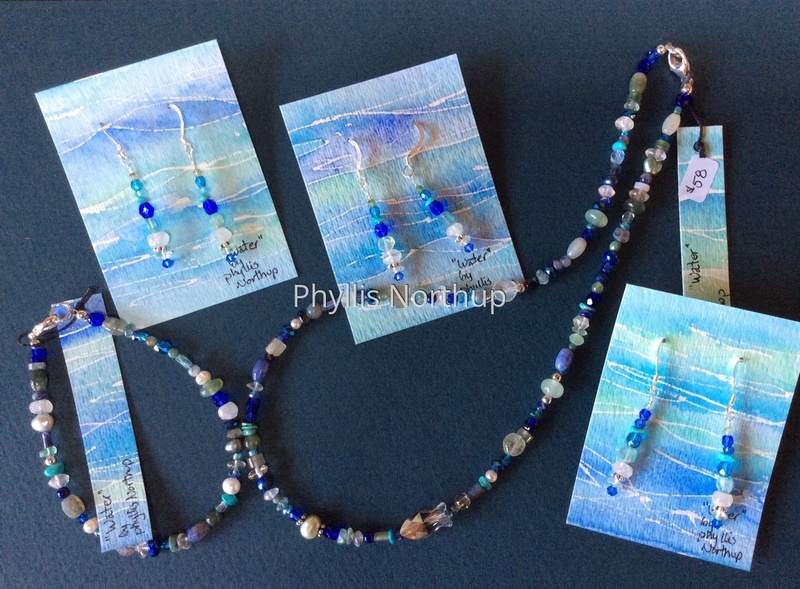 Presented on hand painted cards, a wonderful gift idea for anyone who loves the myriad of blues and greens of water. Earrings have a 1" drop, bracelets average 7 1/2", necklaces approximately 16". Available individually or as a set. Prices include shipping.